US-North Korea engagement will likely continue to limp along despite last month’s failed summit in Hanoi and Pyongyang’s veiled threat last week to pull out of talks and restart missile testing. But if efforts to denuclearise North Korea fizzle out, the political leader who stands to lose the most is not President Donald Trump or Chair Kim Jong Un, but South Korean President Moon Jae-in. 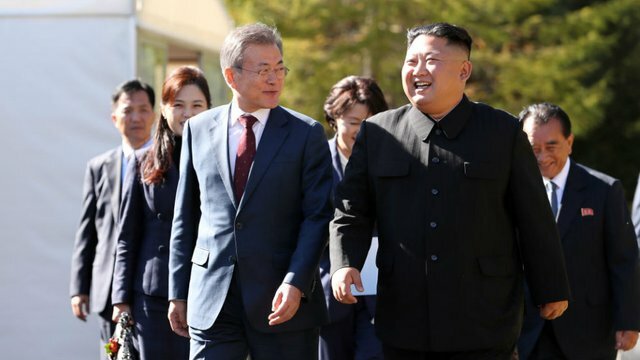 Moon argues that improving relations with Kim’s regime not only creates a pathway to lasting peace but also opens the door to economic interactions that can benefit both countries. Slowing economic growth and other issues, such as population aging, are fuelling concerns inside and outside South Korea about the country’s future. The promise that detente with Kim will give the South access to mineral wealth and cheap labour in the North as well as the chance to rebuild transportation routes across it and develop it into a new consumer market is thus a seductive one. Unless the outlook for the US and North Korea reaching a comprehensive, durable deal for denuclearisation and eliminating tensions brightens, criticism at home and abroad of Moon’s outreach to the North will intensify. Growing skepticism that Kim has truly turned a new leaf and wants to bring his country out of the wilderness has already put a dent in Moon’s approval ratings. A weaker Moon would likely find it more difficult to maintain support not only for his North Korea policies but also for an economic policy agenda that focuses in part on reining in the economic and political influence of the “chaebols” Korea’s large, family-controlled business conglomerates. Moon and others in his government believe that these firms’ ties with previous governments and control over so much economic activity have fueled corruption and inefficiencies. There is no doubt that South Korea’s business sector could use a large dose of reform to improve corporate governance and invigorate the country’s stock market. The fact that South Korean equities make up the second-largest country allocation (over 13 percent; behind only that for China) of the MSCI Emerging Markets Index means that the success or failure of Moon’s efforts to shake up business as usual and reduce the “Korea Discount” will have a sizeable impact on many portfolios around the world as well as on the trajectory of South Korea’s macroeconomy. If Washington and Pyongyang cannot get their dialogue back onto a smoother track in the coming months, chaebols and their conservative allies will likely be emboldened to further obstruct progress in a reform process that many observers argue has already slowed to a crawl due to Moon’s need for cooperation from chaebol leaders for his North Korea policies and fears about the potential negative, short-term effects on the economy of putting pressure on marquee firms. In particular, legislation to reduce chaebols’ alleged excesses by tightening restrictions on intragroup transactions and supply chain management, mandating electronic voting and cumulative voting and introducing shareholder derivative lawsuits would be at greater risk of being blocked or diluted in a National Assembly that Moon’s Democratic Party of Korea does not control. If US-North Korea talks are still in a holding pattern or worse late this year or in early spring, conservatives will be better positioned to capture additional seats in National Assembly elections in April 2020. A resurgence by conservatives would create even more pushback against Moon’s economic and foreign policies as well as speculation that they might take the presidency in 2022. 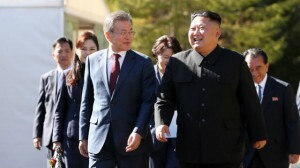 It is tough to fault Moon for wanting to do his utmost to take advantage of what he and many other South Koreans view as a historic opportunity to end a dangerous, decades-long standoff with their northern neighbours. A South Korean president who decided that pursuing this goal was a waste of time would arguably face even harsher condemnation including from the right. But Moon’s bet that two mercurial leaders like Trump and Kim will work out their differences is not one that many people would put much money on. If Moon craps out, faith in his leadership might take a hit from which he and his plans for reviving South Korea’s economy would never fully recover.